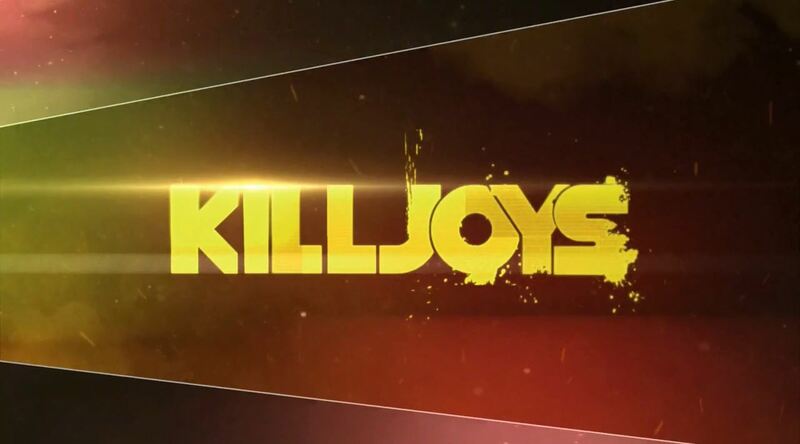 After the première of Dark Matter last week Syfy is releasing another Sci-fi Adventure series called Killjoys. In many ways the release of two somewhat similar TV-shows is embarrassing as both claim to incorporate elements of Joss Whedon’s Firefly. While I relish at the prospect of competition, both shows also compete with Defiance which is airing concurrently. Keeping my attention on all three TV-shows who all occupy the deadly Friday night TV slot makes me a rather nervous SF fan. So what is Killjoys all about? 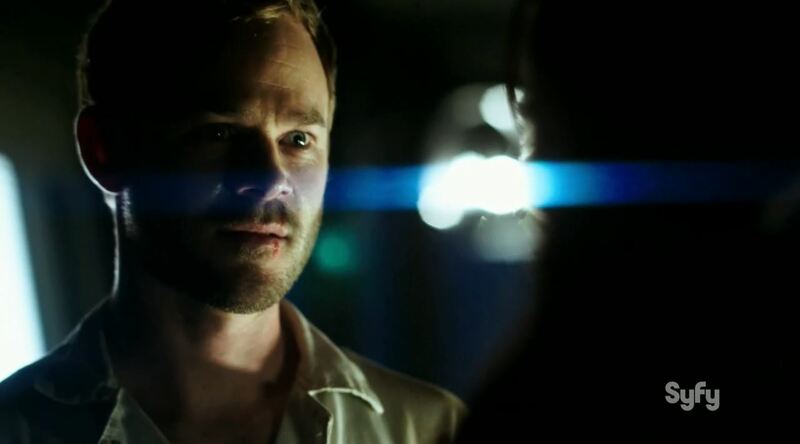 Well, essentially the show follows John (Aaron Ashmore), D’avin and Dutch as they attempt to apprehend criminals throughout various solar systems. They are basically bounty hunters, but things get more interesting when Dutch and John discover that there is a kill warrant for D’avin. Pretty much the first half of the pilot features Dutch chasing after John as he wants to save D’avin, who also happens to be his brother. Unlike Dark Matter Killjoys does not shirk away from going knee-deep into developing character background. John may want to save his brother but at the same time can’t forgive him for abandoning their family years before. 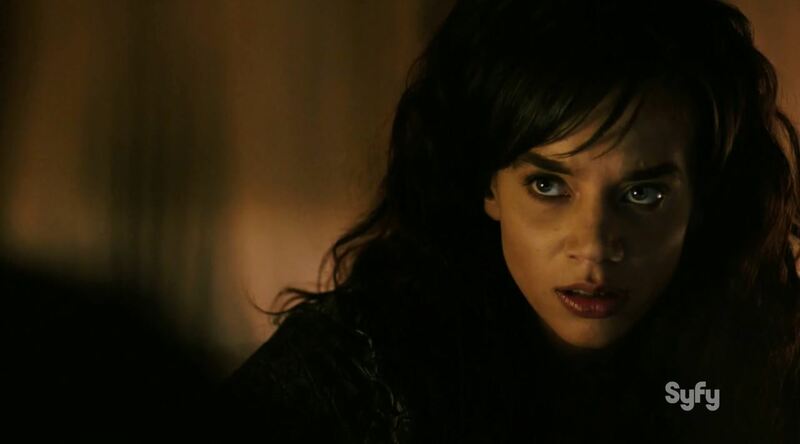 Dutch (Hannah John-Kamen) meanwhile has to deal with he aftermath of John chasing after D’avin. John used Dutch’s Killjoy license and that is punishable by 5 years in jail. Furthermore, Dutch discovers that more than one Killjoy has been sent to terminate D’avin, which normally never happens. In a universe that is corrupt and where dog eats dog Dutch may have to admit she is having a hard time living up to her own moral code. The second half of the episode deals mostly with the attempt by all three to lifts D’avin level 5 warrant. John shares his doubts about D’avin (Luke Macfarlane) as he has no idea if his brother earned the kill warrant. Dutch decides the best way to save D’avins’ life is to find the man who issues the warrant and give him something he wants more. Her logic may be solid but the story does start to suffer when more of the background world of Killjoys is explained. Words such as The Quad mean very little to me but apparently it means a lot to the characters. Before long Dutch and John manage to find the fugitive they are looking for, but a man from Dutch’s past interferes with the take-down. In the end the trade for D’avins’ life is made, but Dutch has to face the consequences from the RAC. A mysterious organization that manages the Killjoys. The Killjoy universe seems quite colorful and diverse, but it is difficult to get my bearings. I don’t know how large it is. Can a spaceship travel the length of a galaxy, or just a few solar systems? For now these questions aren’t that important, they weren’t for Firefly either. But before long, fans will need an answer so they can judge whether the shows writers are making stuff up. As I mentioned Killjoys immediately goes knee-deep in characterization. At times it does feel as if the actors themselves can’t quite belief the lines they are saying. Some silliness among the otherwise deadly serious consequences of performing Killjoys also distract. 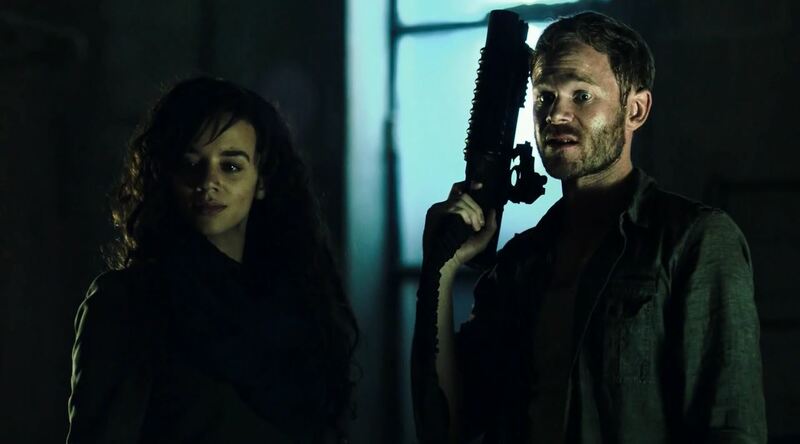 I hope Killjoys can grow into becoming a Sci-fi staple, the première is certainly good, but not brilliant like Firefly. This was the Killjoys Premiere review. I hope you enjoyed it. Previous story Deus Ex Mankind Divided E3 Preview Roundup!